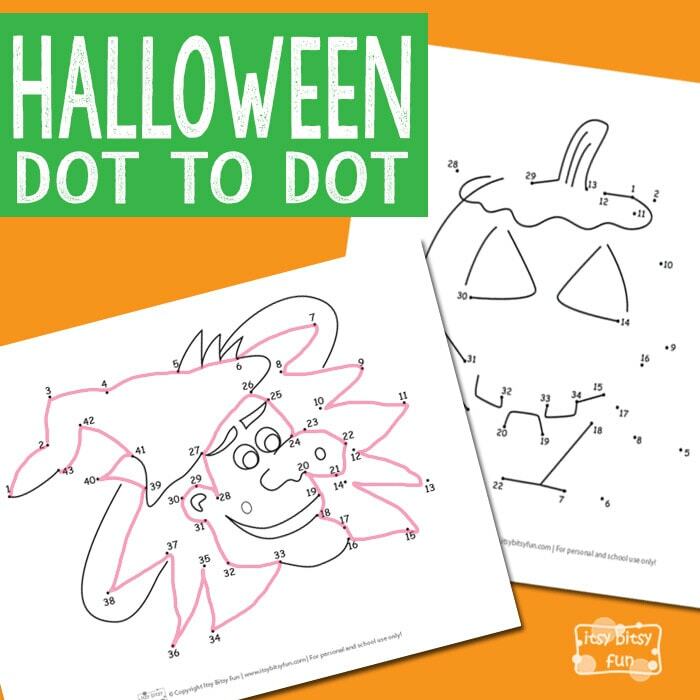 What better way to practice numbers than to have fun with these Halloween Dot to Dot Worksheets? Kids will have so much fun working on these they won’t even know they are learning! We’ve got quite a collection of Halloween worksheets for kids already to work on many different skills and on many different levels! Lets have some dot to dot fun! There are two pages in this printable pack – we have a witch and there’s also a Pumpkin! Get free printable Halloween Dot to Dot Worksheets here.